Porsche gathered four 928 variants to celebrate the model's 40th birthday, including a rarely seen cabriolet prototype. Porsche has been celebrating some important milestones this year. Not only did the one millionth 911 roll off the production line, but the 928 reached the grand old age of 40 this year. It may not be as fabled as the iconic 911, but it’s still well regarded by Porsche enthusiasts. Before the Panemara was introduced in 2009, the 918 served as Porsche’s luxury grand-tourer between 1977 and 1995. To honor its legacy, Porsche held a special birthday celebration for the 928 at the recent Oldtimer Grand Prix classic car event at the Nurburgring last weekend. The 928 was launched in the spring of 1977 as an elegant 2+2 coupe with a lightweight design: both doors, the front wings and the hood were made of aluminum. 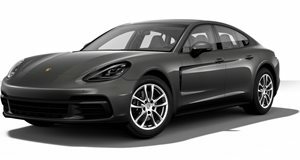 Notably, it became the first sports car to earn the coveted “Car of the Year” award in Europe one year later and the first Porsche to pack a front-mounted V8 preceding the units found in the modern-day Panamera, Cayenne, and 918 Spyder. Originally, the car was sold with a 4.5-liter V8 packing 219 horsepower in America. The 928 also had a perfect 50/50 weight distribution thanks to Porsche’s transaxle setup. Towards the end of its life, the 928’s V8 was upgraded to 5.4-liters to produce 345 horsepower. Around 61,000 units were sold during the 928’s lifetime. To commemorate the grand-tourer's 40th anniversary, Porsche gathered four 928s to make an appearance at the Oldtimer Grand Prix, including a one-of-a-kind four-door prototype that paved the way for the Panemara, and a convertible prototype built in response to the sports cabriolet’s renaissance at the end of the 1970s that never saw production. A restored first-generation 928 also showcased the car in its original condition, along with a restored racing example that modified to compete in classic motorsport events.